The Annual General Meeting on 14 February voted to change the name of the Society to the Bath and Counties Archaeological Society. Speaking for the motion, Bob Whitaker (Chairman) said he had joined the newly-created Camerton Excavation Club in 1949 and excavations had continued there until 1959. But that was nearly 60 years ago. Many people outside BACAS were puzzled by the inclusion of Camerton in the title. It was time to reflect our wider reach. 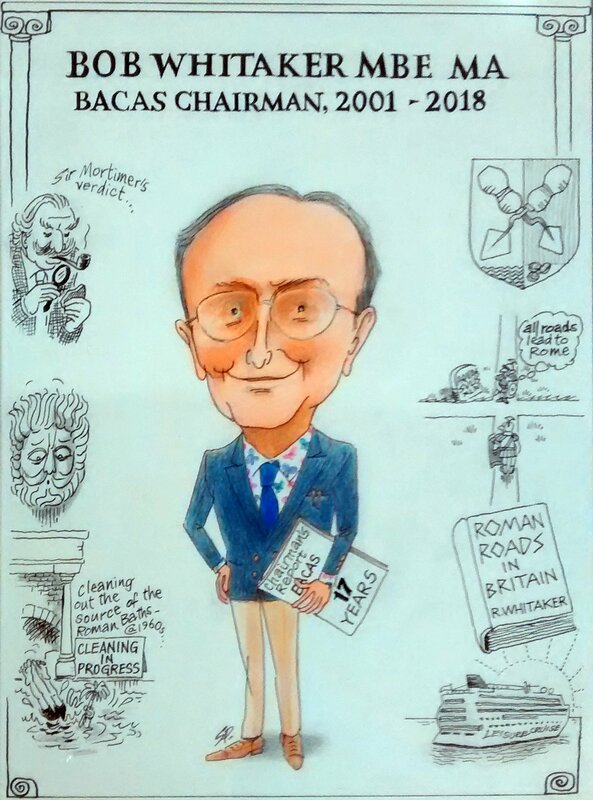 We would still retain the same acronym, BACAS, and Camerton would be remembered in the name of the society’s journal, Camertonia. Several members were against the change. They felt there was a lot of history in the name. Camerton was a splendid excavation and the name carries our history with it. In comparison, ‘Counties’ was an amorphous word. However, the majority felt it was time to move on and the motion was carried. Afterwards, John Richards (Hon. Secretary) said the change of name would appear gradually over the next couple of months. The Charity Commission needed to be informed first and then we could look at re-branding. Membership cards would continue to bear the old name until there was a need for reprinting. At the start of the meeting there were three presentations on society projects during the past year. Janet Pryke spoke on Geophysics in Royal Victoria Park, and Tim Lunt related the events of the BACAS surveys of keeills in the Isle of Man. Marek Lewcun told what had been happening on the current Archway Project at the Roman Baths. Lawrie Scott (Hon. Treasurer) told the AGM that the financial position had improved greatly. Receipts were up (helped by an increase in membership numbers), while payments were down. The result was a surplus of £1,332 compared to the previous year’s deficit of £2,203. Membership, lectures, and excursions income had all risen, while on the expenditure side, savings had been made on insurance and the website. This was a turnaround in the society’s finances, but the level of reserves was still too low, especially considering the potential cost of equipment replacement. Elections were held for the Society’s officers. Bob Whitaker was standing down as Chairman after 18 years, and so was Marek Lewcun, Director of Archaeology. Henry Lowe was elected Chairman, and Robin Holley as Director of Archaeology. To deal with the resulting vacancies, Bob Whitaker has agreed to act as Archaeological Adviser for a year and Henry Lowe has agreed to retain his Exhibitions and Collections brief. A full list is on the Committee page. Finally, the Clive Peacock Memorial Award, given annually to the Member who is considered to have made an important contribution to the Society went to Bob Whitaker, who has been a member for over 68 years and served the Society as Chairman for the last 18 years.